Marine commercial and industrial engines - power where and when you need it. Taking care of more than just the vehicles. 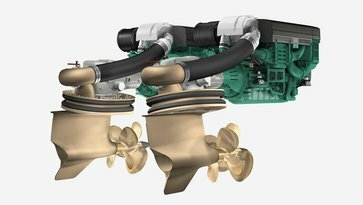 Volvo Defense can help you power your operation with technology from Volvo Penta - a world-leading supplier of engines and complete power systems. Volvo Penta power can provide life for your machinery, your equipment, your generators and your vessels. A reliable source of green power, where and when you need it. Quality, reliability and support - three of the reasons why Volvo Penta power solutions are trusted worldwide and used in a variety of diverse applications. 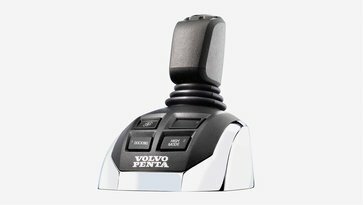 Volvo Penta is part of the Volvo Group and so able to rely on its worldwide support and distribution network. Service, support and spares are available around the globe. They’re manufactured to high standards and built to keep running. Solutions that suit your requirements. 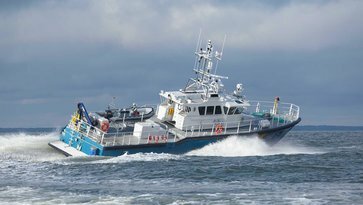 Volvo Penta power can be provided for a wide range of military applications. Like off-road machinery and construction equipment - use it to drive your road building, quarrying and construction operations. High quality. Really reliable. Built to last. Volvo Penta generators are proven, tried and tested in the field the world over. And they’re designed for the most demanding operations. Powering trucks. Running generators. Propelling ocean vessels. Long service intervals, quick global service and good consumption add to the picture. We can provide a comprehensive range of marine engines, from 100 hp to 900 hp output. The range includes drive systems and engines for propulsion, auxiliary equipment and complete marine generator sets. We build our offering on 100 years’ worth of experience and unparalleled knowledge of the industry. Ideal for when your mission requires on-board marine power for winches, cranes, compressors and other heavy equipment. Our marine diesel engines are easy to install and service. They combine high performance with low consumption for competitive lifecycle costs. Monitor propulsion systems, marine gensets and auxiliary installations with this open, easily-integrated system. Available for a wide range of marine applications. Electronic Vessel Control brings engines, electronics and optional functions together, reducing wiring and connectors and making operation and service simpler and easier. Merged systems also means increased reliability - and working together, EVC’s functions provide a safe and high-performance operational alternative.